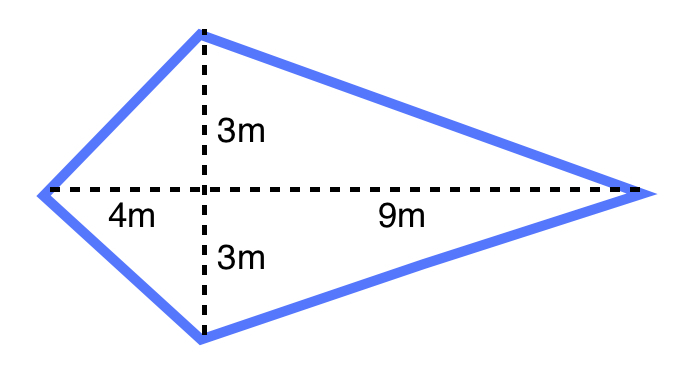 What is the area of a kite with diagonals of 5 and 7? That diagonals ( and )are the lines created by connecting the two sides opposite of each other. Then multiply and divide to get the area. 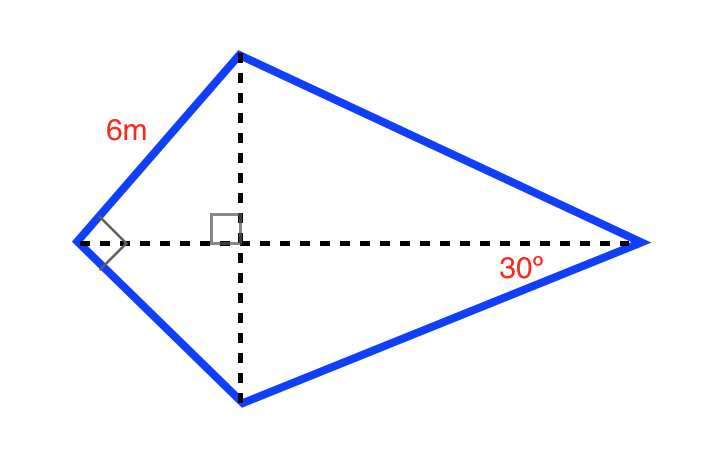 where is the length of one diagonal and is the length of another diagonal. Use the formulas for a triangle and a triangle to find the lengths of the diagonals. The formula for a triangle is and the formula for a triangle is .